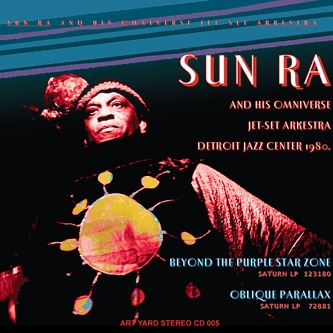 In 1980 Sun-Ra fanatic Rick Steiger organised what was to be the "Greatest cultural event going on in America at that time" according to Sun Ra himself. The concert started the day after Christmas and evolved into a 6-day, 11-performance residency that rocked the Detroit Jazz centre to it's boots. These are nine tracks from those sessions, capturing the Arkestra in full flight with some help from local musicians Tani Tabbal, Ali Mora, Jaribu Shahid and Reggie Fields. Pure vibes!! !